What a beautiful renovated 3 bedroom 1 and a 1/2 bath home. This brick ranch has been renovated from top to bottom. 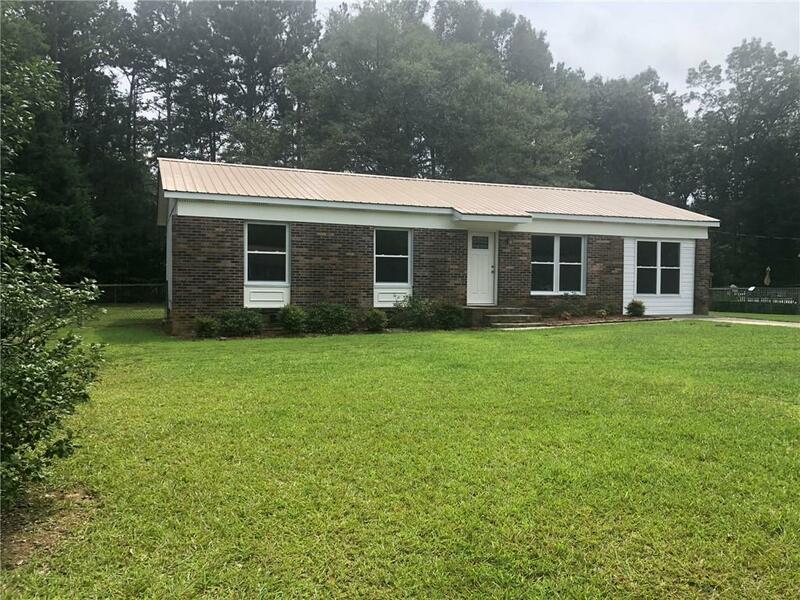 New metal roof, new heating and air conditioning system, new vinyl double pane windows, new kitchen, beautiful laminate flooring, freshly painted, new fixtures, and new doors through out with all new hardware. As soon as you enter into the front door you are welcomed into the open floor plan. The Living, Dining, and Kitchen are perfect for entertaining. Off the dining area is a bonus room that would be a perfect play room or den area. Off of the bonus room you will find an over-sized laundry area. There are two good sized bedrooms and the main bathroom down the hall. At the end of the hall is master bedroom which has his and her closets and a half bath. The backyard is fenced and has a new 14 x 14 deck, shade trees and a level lot. All located on a dead end street. This is a great place to call home.